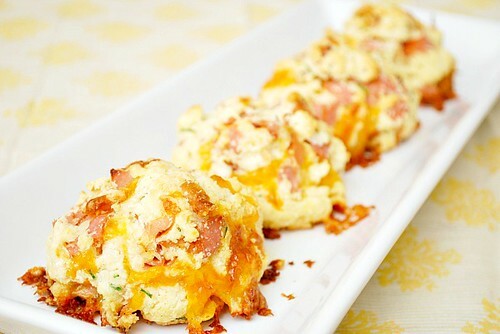 This biscuit is perfect on its own as a snack, breakfast, lunch or even a side at dinner. It's savory and full of texture and flavor. 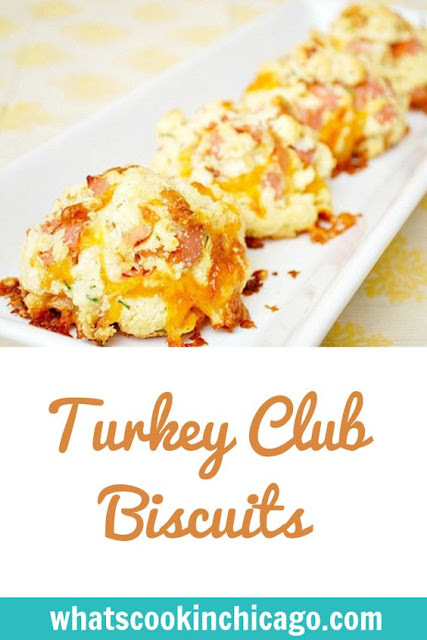 The combination of turkey, bacon, and cheddar is reminiscent of any good turkey club and is has everything in one package. These freeze well so you can bake them, cool and store in a freezer bag. To enjoy, allow the biscuits to come to room temperature and warm them up in the oven or toaster. These look and sound so good! I'm happy that you found a way to work a little bread into your diet! I can't wait to try these. Is there turkey in these biscuits?? The recipe calls for 1/2 diced ham, I'm a bit confused. Otherwise, looks delish, I love this sort of thing as a quick breakfast to grab on the go.